At the September committee meeting the impact of the £1500 subsidy and the sliding scale of fares were discussed. This season’s fares are on average £3 lower per trip than in 2017/18 and so it was agreed that in future the sliding scale would only apply once the cost of the coach had been covered to ensure that the Supporters Club did not make a loss on the trip. Non members will be charged £4 extra but can choose to join up on the coach. Coaches will be organised by Cheryl Bradley. The committee is sure that supporters would like to join them in thanking Martin Brush for all the hard work he has put in over the past four years to ensure that transport was organised to virtually every away fixture. The Supporters Club aims to run a coach to as many league, FA Cup and Trophy away fixtures as possible. However, should there not be sufficient support, a trip may be cancelled. Coaches will run to 15 fixtures but not to Truro, Weston, Eastbourne, Concord, Chelmsford or East Thurrock as these are unlikely to attract the minimum of 22 bookings. However this may be reviewed later in the season. Martin Brush is intending to organise transport independent of the Supporters Club to those six clubs and to any of the others where the minimum number of bookings is not reached. Those who have booked will be informed in good time if there is a change to what was originally advertised. Details of times and fares for each trip can be found on matchdays at the Supporters Club HQ and on posters displayed around the ground and bars. They are also advertised on the SC website, on social media, the club’s weekly newsletter, in the matchday programme, over the tannoy and in the Bath Chronicle. They will be announced first on the coach during the preceding trip(s) and those on board will be given priority on bookings. The SC will continue to use coaches provided by Berkeley Coach & Travel of Paulton. Radstock Hotel, Odd Down (Wellsway, near Red Lion) and Twerton Park, where you can leave your car. For trips in the east (eg Chelmsford) we also pick up on London Road (Balustrade bus stop) and Corsham (Two Pigs bus stop). The price remains the same, wherever you are picked up. We can drop you in the city centre on the return to Bath from the east. Seats can be booked by contacting Cheryl Bradley at cjb666@live.com or 07751 405439. If contacting before 6pm on weekdays please do so by text message or email only. A minimum of 22 bookings is required. A decision will be made seven days prior to the fixture if a coach is to run so bookings should be made by then if at all possible. 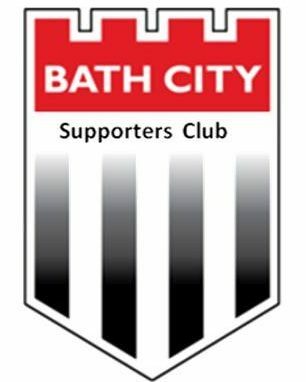 The Supporters Club will subsidise the trips to league fixtures by £1500 in the hope that lower fares will encourage more to travel. The fares for the 15 league fixtures will be announced on the website as soon as they have been confirmed by the committee. The fares quoted are for members of the Supporters Club. Non members will be charged extra, as advertised. Membership subscriptions can be paid by contacting Alison Gibbons at home matches or pay on the coach. Forms are available at the SC HQ on matchdays and can be downloaded from the SC website. The SC does not advertise in advance what the sliding scale fare will be. While it is accepted that this may encourage more to travel, the problem could arise that supporters may be asked to pay more than they expected on the day if some who had booked did not turn up. Those under the age of 18 who are accompanied by an adult will be charged 50% of the concessions’ fare (rounded up to the nearest pound). Those wishing to travel one way, either to or from the match, must contact Cheryl Bradley in advance on the understanding that priority will be given to those travelling both ways. Singles will be 50% of the return fare. Fares for Cup and Trophy trips will be fixed by the Supporters Club committee once details of the draw are announced. Apart from the local trips, we usually have at least a 15 minute stop on the outward and return journeys. We will aim to arrive at the ground at approximately 1.30 p.m. for Saturday and 6.45 for evening matches. No smoking (including e-cigarettes) or alcohol on board. Anyone boarding the coach in a drunken state may not be allowed to travel. Please show consideration to other passengers at all times. Passengers should remain seated except on the motorway and are advised to wear seatbelts. Allowances will be made for passengers needing to use the toilet and the coach organiser to liaise with the driver and make announcements. If the match is in doubt due to poor weather, please contact Cheryl Bradley. If you have booked and then find you cannot go, please contact Cheryl Bradley, as this may enable someone else to take your place.